Tenniel was a successful illustrator who illustrated for authors like Lewis Carroll. 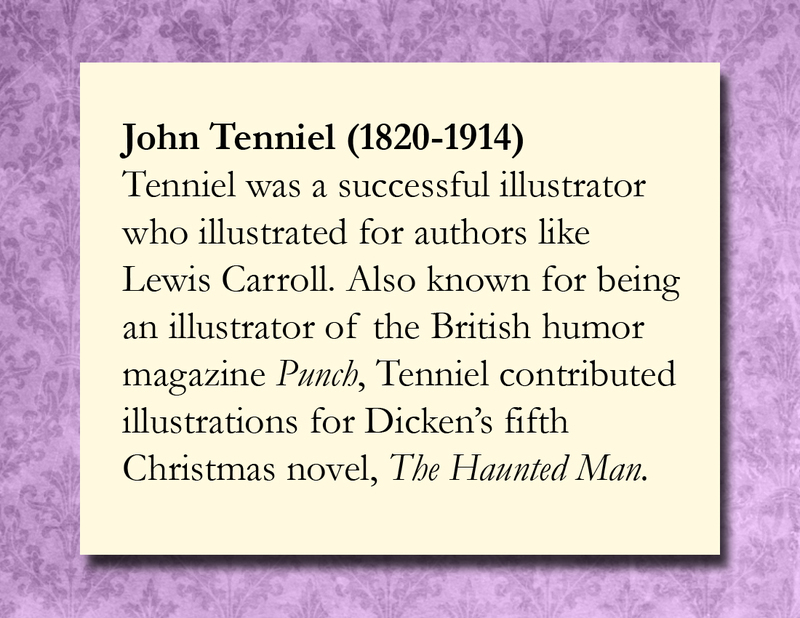 Also known for being an illustrator of the British humor magazine Punch, Tenniel contributed illustrations for Dicken’s fifth Christmas novel, The Haunted Man. The Haunted Man. 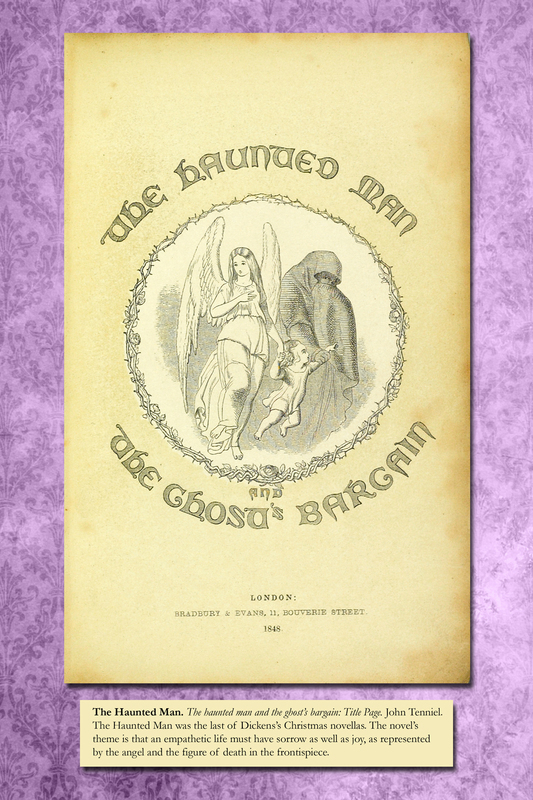 The haunted man and the ghost’s bargain: Title Page. John Tenniel. The Haunted Man was the last of Dickens’s Christmas novellas. The novel’s theme is that an empathetic life must have sorrow as well as joy, as represented by the angel and the figure of death in the frontispiece.